Diet Plans Don't Work|Learn a Healthy Way to Lose Weight! You’ve probably tried other weight loss programs and all kinds of diet plans. Most likely, they provided short-term solutions that helped you lose weight initially, but offered little guidance to keep the weight off. The Simple Truth is DIET PLANS DON’T WORK. Studies have proven this time and again. If you go on most diet plans, you fall off the wagon before you hit your goal, or you hit your goal and then fall back to your old eating patterns, all the while thinking you won’t gain the weight back. Unless you get to the root cause of why you are overweight and address it, dieting alone will not work, ever! 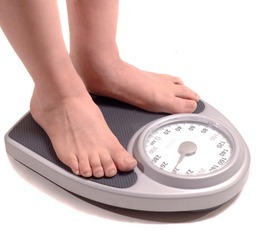 Some of our patients think they’re overweight because they don’t exercise enough. 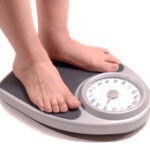 Most others believe they are overweight because they are always hungry and eat too much. Why Are We Always Hungry? This is the important question too many of us fail to ask ourselves. Neither the typical weight loss plan nor a mere diet can answer this question. Today we are bombarded by weight loss plans and diets, but the fact remains that over 70% of Americans are overweight and over a third are clinically obese. These conditions are responsible for dramatic increased rates of Type-2 Diabetes (which too has become epidemic), cardiovascular disease and a host of other illnesses. As humans evolved over time, food was in short supply. A key advantage for survival was for people to eat whenever food was available. In the 21st century, the persistence of this same instinctive drive for eating is a key contributor to the obesity epidemic. In Today’s World We Have Food-o-Plenty. Fast food restaurants are on every street corner. Grocery stores are overflowing with processed, packaged and pre-made food. For convenience-sake, at the end of a long day we are lured into buying these foods which are engineered by the food industry with little regard for our health and well-being. In this way, the food industry capitalizes on our vulnerability. To make matters worse, processed food is designed to taste so good, that in a sense we become intoxicated in the very moment we ingest it, leading us to want more and more of it — exactly what the food industry wants. This intoxication is engineered to be brief, so that in short order we become hungry and crave it again and again. Unlike smoking cigarettes and using drugs, most of us are unaware of the drug-like substances in the foods we eat, and their ability to set us up for a lifetime of genuine addiction. Some of us become aware of this addiction, but many of us remain blind to it, distracted by the desires of our appetites, and our drive to consume more. We just feel hungry. When Was the Last Time You Saw an Overweight Animal in the Wild? Think about it, when was the last time you saw an overweight animal in the wild? Domestic animals become fat when people supply them with the same types of processed, unhealthy, unnatural foods designed by the food industry to get us, and our pets, hooked! Before we know it, we’ve become fat, not just overweight! And the fatter we get, the more sedentary we become, which further amplifies our addiction to these foods. Nature did not intend for us to eat this way or treat ourselves this way. What’s in Our Food That We Are Addicted To? The answer: Excess refined carbohydrates and sodium, in addition to a host of other non-food additives that are put together in such a way to keep us coming back for more. The bottom line is that the foods we eat influence the hormones our body produces. These hormones directly affect our behavior, our food choices and our physiology — how our body works. Lose Weight. Change Your Diet and Eating Habits.